Underground Utilities And Directional Drilling Tools: What Is Directional Drilling? Bore Path Services offers tools and technology for a variety of industries. One of these industries is directional drilling. What is directional drilling, though, and why is it done? 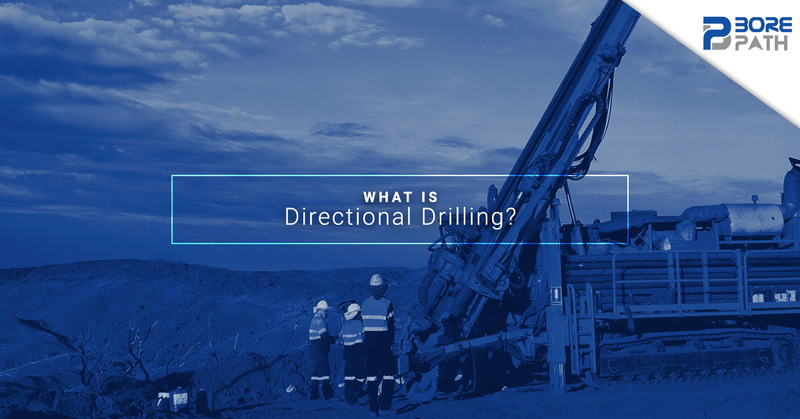 There are a few different types of directional drilling that we’ll explore and different reasons as to why it’s beneficial. If your team does drilling and performs borehole surveys, directional drilling tools from Bore Path Services could be exactly what you need to receive quick, accurate results while drilling. Directional drilling is also referred to as slant drilling because it is the practice of drilling holes (or wells) that are not vertical. There are four main types of directional drilling. They include oilfield directional drilling, which involves drilling at an angle to reach an oil reservoir; utility installation directional drilling, also referred to as horizontal directional drilling; directional boring, which is a trenchless drilling method similar to horizontal directional drilling; and surface in seam (SIS), which is a type of drilling that intersects a vertical well. Directional drilling in the oilfield is helpful because if there’s a reservoir of oil in a location where it wouldn’t be possible to drill vertically, directional drillers still have the ability to drill at an angle to reach the reservoir. Situations like this include when a reservoir is discovered under a town, a lake, or within a rock formation that would be too difficult to drill. Horizontal directional drilling (HDD) is used to install a variety of underground utilities. These types of utilities include telecommunication lines, electrical lines, natural gas lines, cable television, fiber optics, traffic lights, street lights, storm drains, water mains, and wastewater pipes. Directional boring is often used interchangeably with HDD because it also involves the installation of certain types of utilities. Directional boring is a trenchless drilling method that is used to install underground pipe, conduit, and cables. Surface in seam (SIS) drilling is a horizontal well that is created to intersect a vertical well. This is done in order to extract coalbed methane, a gas that is an important source of energy, but one that can also present safety risks in underground coal mining. Drilling wells at an angle has a lot of benefits compared to vertical drilling. When drilling to underground reservoirs, the angle of the well creates a greater length of exposed reservoir to extract oil compared to a vertical well. For the oil and gas industry, directional drilling allows access to reservoirs that would be difficult or impossible to reach otherwise. It also reduces drilling costs because multiple wells can be drilled from a single oil platform. When drilling wells, it’s important to make sure you’re constantly receiving information about the environment that you’re drilling through and making sure you’re drilling accurately. In order to do this, you need proper directional drilling tools. Bore Path Services offers directional drilling tools for rent or purchase to help you get the information you need for safe and successful drills. Reach out to us today to reserve equipment.